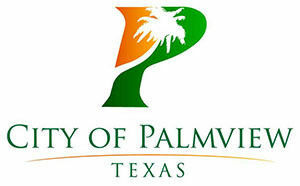 PALMVIEW — The city has set a goal to increase voter registration among its residents and hopes neighboring cities will be moved to take similar action. The city council approved an initiative by interim City Manager Leo Olivares to increase voter registration to 65 percent. The council and city employees who wish to participate would undergo training on how to register people to vote upon their visits to city hall. With the city council members, specifically, Olivares said he believed they could reach residents to register and vote. Data provided by the Advocacy Alliance Center of Texas — or AACT, a nonprofit that supports voter registration efforts — showed voter turnout during the 2014 midterm elections was 32.3 percent. Turnout for the 2016 presidential election was 53.35 percent. Through the resolution the council approved on Tuesday, the city set a goal of 65 percent registered voters. He acknowledged the effort was being launched a bit “late in the game” given there’s less than 100 days until the elections in November. “A little too late but better than nothing,” he said.